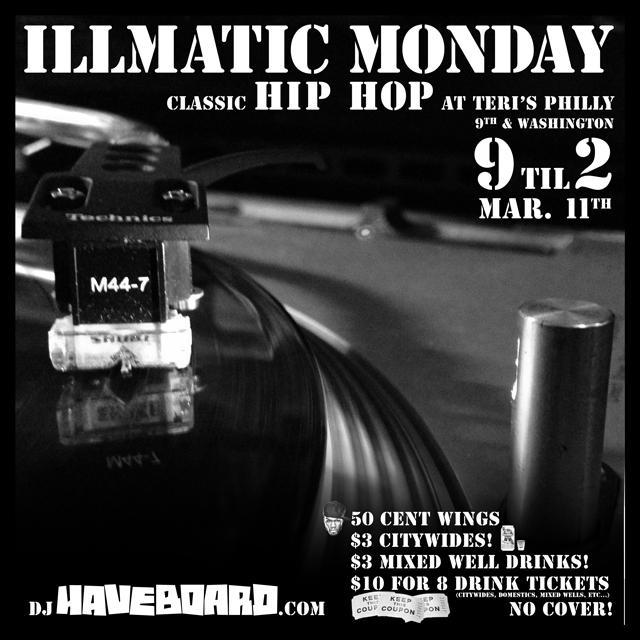 If you find your­self thirsty in South Philly tonight I’ll be play­ing hip hop at Teri’s Philly on 9th street just South of Washington. Check the face­book invite here. Hope you can make it out. ←rarr; Kickstarter for Paine’s Park — Let’s raise $10,000!